He was a decorated war captain where he deserted due to unpleasant experience of his past. He abhor the thought of warring for a country or nation or anyone at all and tries to avoid it at all costs. Never a quitter and that's where he always tries to find a way out even though a situation may seem dismal and the odds against him. 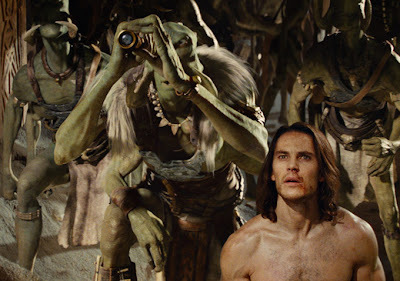 John Carter (played by Taylor Kitsch) has his own set goals which is to locate the cave of gold and make it his to live happily ever after. After running away from the army officials and the Apaches, he stumbled on what he was looking for.....the cave of gold. There, he somehow was startled by an immortal who play gods of the world and killed him. With the immortal's dying breath, he was uttering the words to get the device he was clutching to get him back to Barsoom, the name for Mars in Mars. John Carter took the device and was accidentally transported to Mars. That's where he discovered strange civilizations and that he has the ability to leap great lengths. 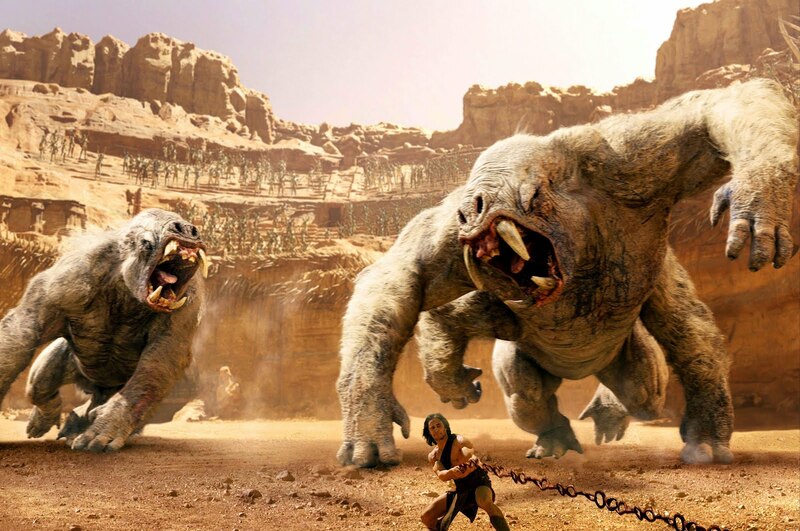 In Mars, he was entangled by the wars of different nations where the immortals (considered as Therns which are gods to Martians) were involved in trying to get a rash, irrational, power hungry individual to rule as king of Barsoom, just for the heck of it. With John Carter's intervention, he seems to be messing up the plan and after much meddling around, he has grown to love the place. The story is somewhat confusing from the beginning, mainly because it takes you into the world straight away with not much references to go with to understand the whole new world. But with the many action involved, it's quite an entertaining watch. I find it an okay film and it's definitely something nice for kids to watch. I would rate this film a 3 out of 5 stars. 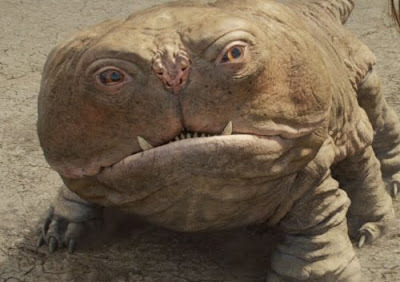 It's a Walt Disney films which are more catered for kids and teenagers. Is it? Well, it certainly isn't for older folks. LOL.